It looks like season three of AMC’s Better Call Saul is really going to ramp up the connections to Breaking Bad. 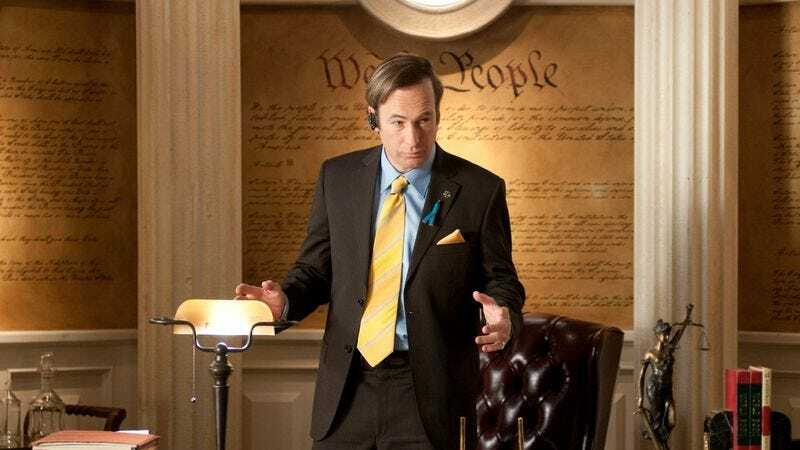 In January, we reported that the show would be making good on its many teases by finally introducing Giancarlo Esposito’s Gus Fring, and now star Bob Odenkirk has revealed that the third season will also include the first proper appearance of Jimmy McGill’s Saul Goodman persona. That comes from The Hollywood Reporter, which says Odenkirk dropped the news during an event this week in Berlin. This won’t be the same Goodman we knew and loved from the old show, though, as Odenkirk notes that the way we’ll meet him is “not the way you think.” He says Saul is “not what you saw in Breaking Bad” and that he’ll appear “in a slightly different form” than before, but he wouldn’t say much beyond that. Better Call Saul returns to AMC on April 10.